The New Zealand Society of Travel Medicine Conference was well attended by the Wanaka Medical Travel Team on the weekend of 11 August 2018. Topics ranged from Commercial Space Travel to Ayahuasca to Yellow Fever with an informative and educational weekend had by all. We were also most proud to have our doctor, Catriona Austin presenting with Dr Jenny Visser and Dr Robert Bester. The presentation focussed on the increasing number of travellers to the Southern Ocean, Subantarctic Islands and the Antarctic Continent, specifically the health concerns for travellers to the area. 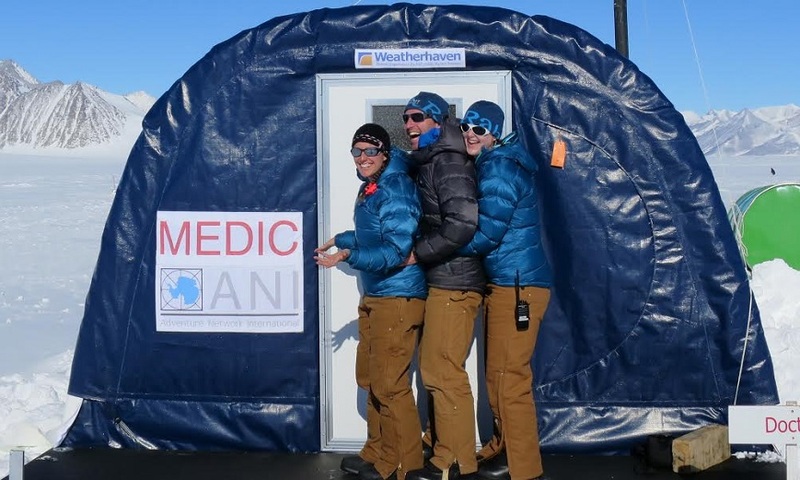 Catriona is pictured here on the right with fellow doctors at Union Glacier in Antarctica.